UFO SIGHTINGS DAILY: UFO Caught As It Enters Atmosphere On NASA Skycam, Aug 24, 2015, UFO Sighting News. 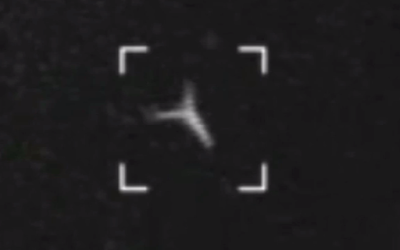 UFO Caught As It Enters Atmosphere On NASA Skycam, Aug 24, 2015, UFO Sighting News. Only once in my life have I ever seen a UFO with three arms. It was about the size of a scooter and white. It slowly rotated in a wheel fashion in the cloud here in Taiwan and was only caught on IR camera for 1-2 seconds, but upload footage damaged the quality it could not be seen on Youtube years ago. These are unmanned drones sent for info gathering. NASA All Skycam captures something out of what I would consider ordinary on a 'fireball' video of 'something' entering the atmosphere of earth in the sky over W Pennsylvania or possibly E Ohio. Also, in this video a man and his family observe a bright star-like object moving slowly next to the moon. The man just happened to be holding a high resolution camera in anticipation of an upcoming rocket launch from Cape Canaveral and snapped a picture of the strange looking light.